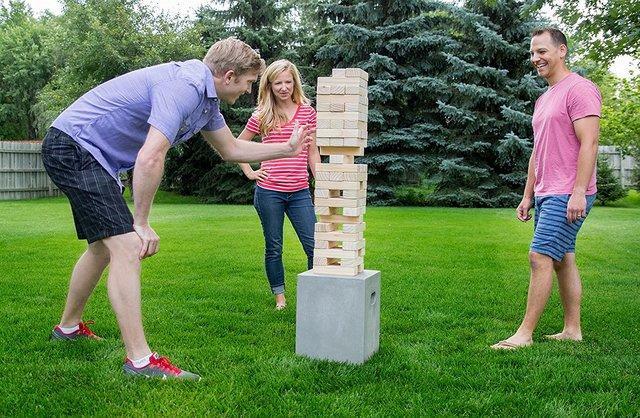 This block game stands 2.5 feet tall and depending on your level of experience can reach a height of 5 feet! This game is great to take outdoors. Perfect for group events, parties, camping and more. Tumbling Timbers can be played by 2 or more players. First, build the tower, then take turns to remove a block (using only one hand) and place on the top. The object is to be the last player to successfully stack a wooden block without knocking down the tower!